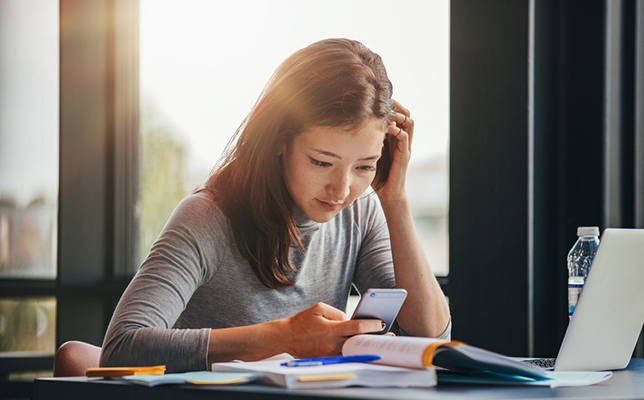 Mobile learning is the top priority for K–12 IT leaders, according to the fifth annual K–12 IT Leadership Survey published by the Consortium for School Networking (CoSN). It’s the first time mobile learning ranked as the highest priority in the survey. The No. 2 priority is broadband and network capacity, which ranked first last year, and the No. 3 priority is cybersecurity and privacy, with 62 percent of respondents rating them more important than last year. Budget constraints and lack of resources are ranked as the top challenges for the third straight year. More than half of school technology leaders said their IT budgets have stayed the same since last year and do not sufficiently meet current needs and demands. Understaffing remains a key issue for technology departments in school systems. More than 80 percent of IT leaders said they do not have enough staff to meet district needs. Only 13 percent of IT leaders said staffing has matched their needs. Nearly two-thirds of respondents indicated that their staff size has remained constant, even in the face of increasing needs. Single sign-on (SSO) is the most implemented interoperability initiative, with 60 percent of school technology leaders having partially or fully implemented SSO. Data interoperability, meanwhile, was the next most popular solution, with 73 percent of respondents indicating they were in planning or implementation stages. More than one-third of IT leaders expressed no interest in bring your own device (BYOD) initiatives, up from 20 percent in 2014. Interest in open educational resources (OER) is high, with nearly 80 percent of respondents indicating t was part of their district’s digital content strategy. Education technology experience is common among IT leaders, with 73 percent having worked in the K–12 education technology field for more than 10 years. Strong academic backgrounds are also prevalent among IT leaders. Nearly 80 percent of IT leaders have some college beyond a bachelor’s degree, and nearly 70 percent of IT leaders hold a master’s degree. Lack of diversity continues to be an issue for school district technology leaders. Ninety percent of IT leaders identify as white, the same percentage as the prior year. CoSN is a nonprofit association for school system technology leaders. To read or download the full IT leadership survey, visit this CoSN site.